Custom Built in the USA. 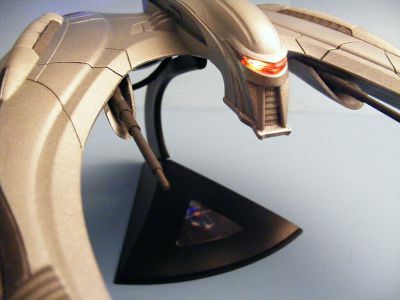 From the Hit series Battlestar Galactica that aired in 2003, Starling Proudly introduces our completely awesome Plug-N-Play 1/32 Moebius Cylon Raider Full E/FX™ LED Effect kit. 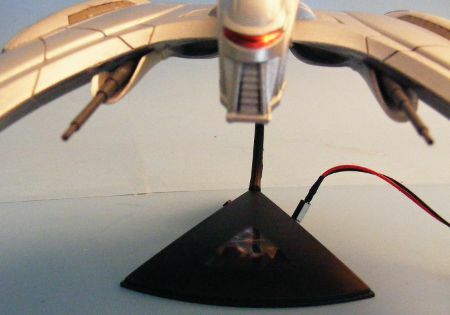 This complete kit features the Cylon raider red eye that moves back and forth behind the visor(LEDs are already soldered to board), engine exhaust effect, 2 red LEDs for the missile bays for those who want to open up their missile bays, and "Guns A' Blazing" firing effect. 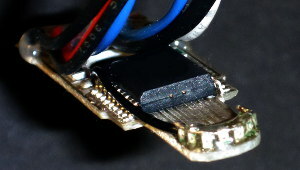 Tiny circuit board with mini LEDs installs behind the visor area of ship for easy installation. 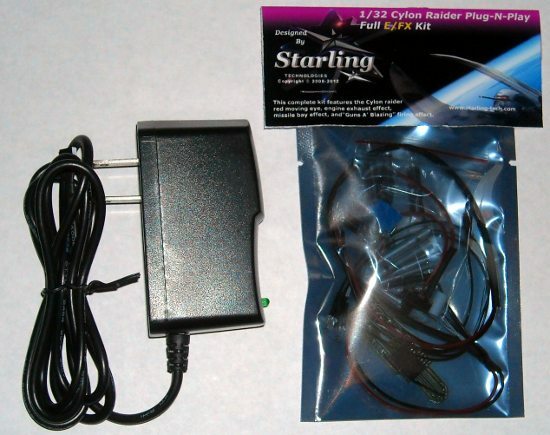 Just plug in some connections, 4.5v wall adapter, and slide power switch on, no soldering required. This is one super easy, user friendly, drop in lighting kit. 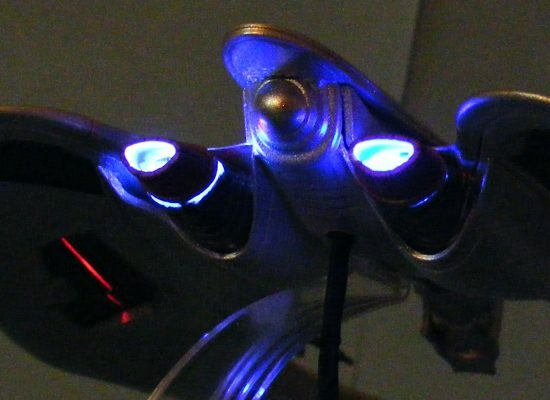 Our visor utilizes 8 micro LEDs to provide a High resolution effect. All effects seen in video can be accomplished with this kit. Detailed instructions, tips and photos are provided. NOTE: Engine flicker effect could not be captured correctly in video . 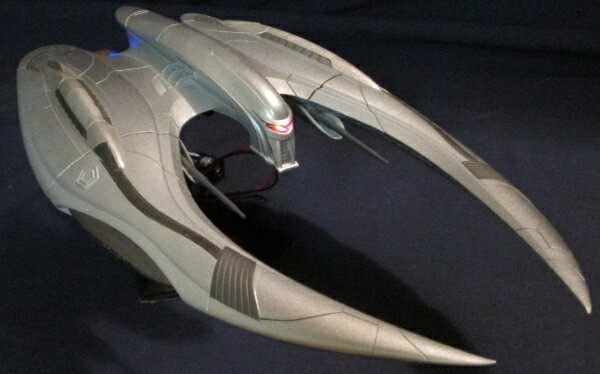 1 x Fully assembled cylon raider circuit with LEDs and wired with switch. 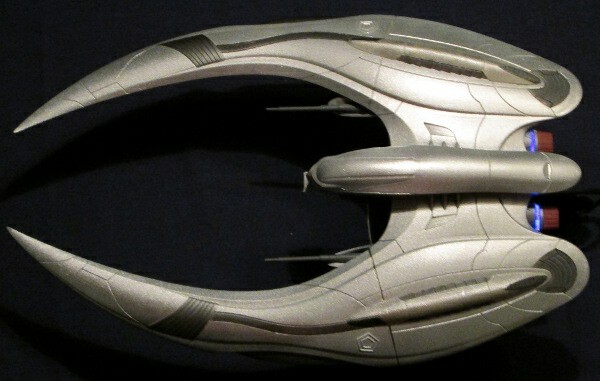 1 detailed PDF manual emailed after purchase. The normal modeling tools, Paints and glues. Tape to help hold down wires. Model not included with kit. International buyers will require a Plug adapter for their region.